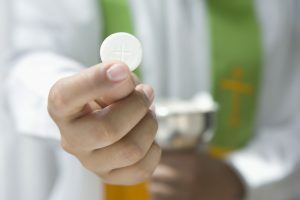 Eucharist is the sacramental celebration of the Paschal Mystery in praise and thanksgiving for all that God has done and continues to do. For more information on your child’s First Reconciliation or First Communion, please contact the parish office at (989)786-2235. Click here to see our Reconciliation times.